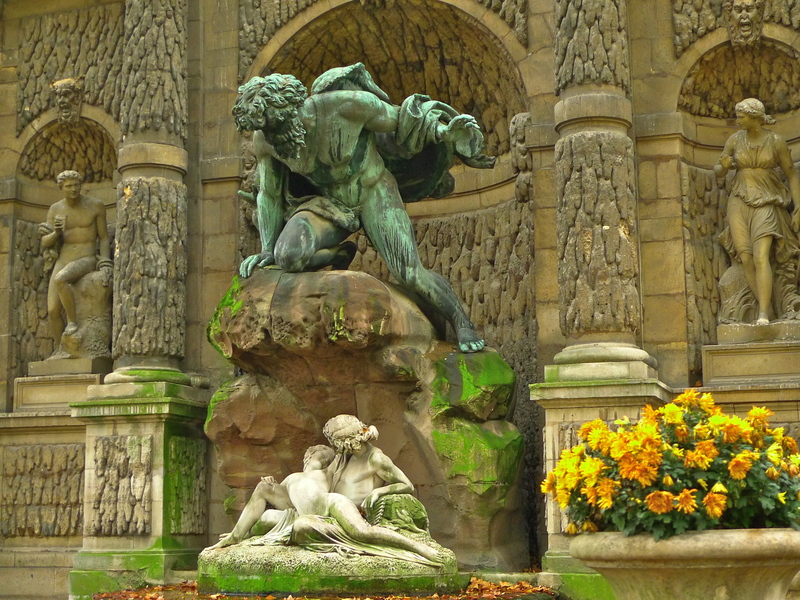 LA FONTAINE MÉDICIS, or the Medici Fountain, is a monumental fountain in the Jardin du Luxembourg in the 6th arrondissement of Paris. I’ve been to it many times but early on a bitterly cold morning last week I went with a special purpose in mind, to record the sounds of the fountain. The fountain was part of the sumptuous palace and gardens that Marie de Médicis, widow of Henry IV and regent for King Louis XIII, commissioned in the 1630’s. The palace, the Palais du Luxembourg, was based on the Palazzo Pitti and the gardens on the Boboli gardens in Florence both of which she had known from her childhood. 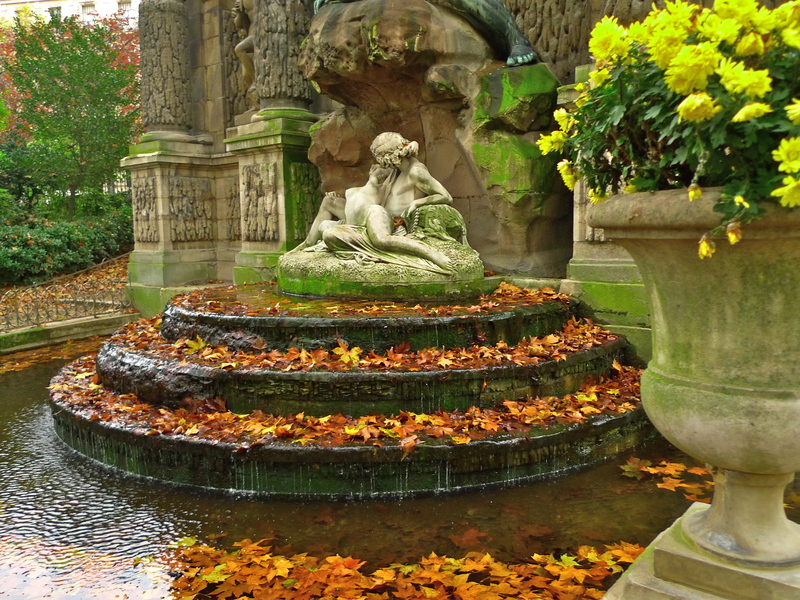 The fountain was modelled on the grotto built by Bernado Buontalenti in the Boboli gardens. 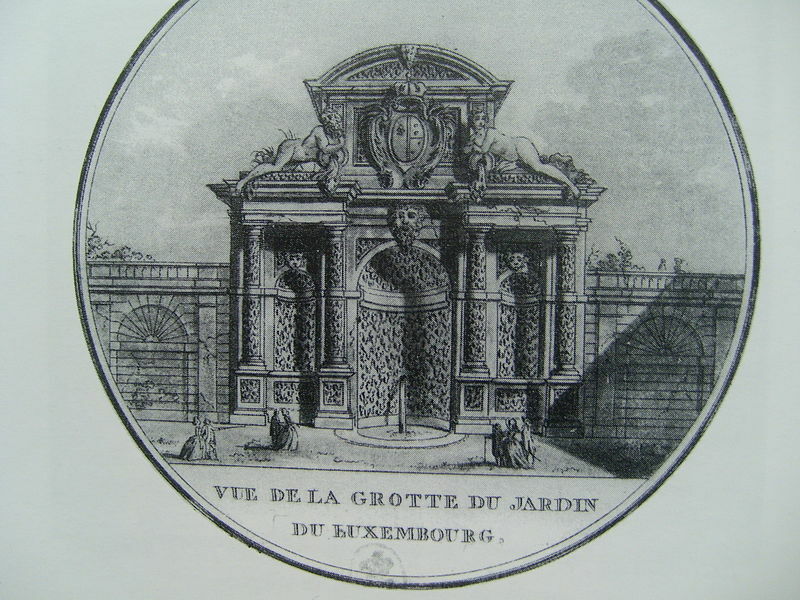 The palace was the work of architect Salomon de Brosse, but the fountain, or grotto, was most probably the work of Tommaso Francini, the Intendant General of Waters and Fountains of the King. 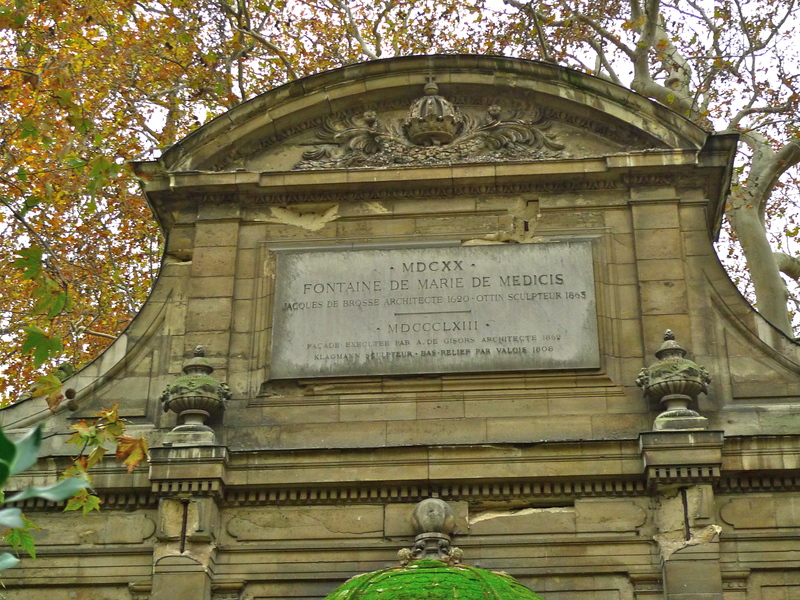 After the death of Marie de Médicis the palace and the gardens went through several changes of ownership and the fountain fell into disrepair. Napoleon Bonaparte ordered some restoration work to be done at the beginning of the 19th century but by the second half of the century Baron Haussmann’s massive urban redevelopment of Paris was in full cry and the future of the fountain was in jeopardy. Haussmann had plans to create the rue de Médicis which was to cut through the site where the fountain stood. The French architect Alphonse de Gisors, who had already extended the Palais du Luxembourg in the 1830’s, was called upon to move the Fontaine Médicis some thirty meters closer to the palace to make way for Haussmann’s new street and in doing so he radically changed its setting by creating a 50 metre long rectangle of water bounded by an alley of trees and he also changed its appearance. It was this rectangle of water that was of particular interest to me when I visited the Fontaine Médicis last week. Looking at the fountain with the giant, Polyphemus, looking down on Acis and Galatea and with Faunus, the god of the forest and Diana, goddess of the hunt (both by Ottin) looking at each other, I was absorbed by the sounds of the fountain. At this early hour in the morning there were no people around but even so I was not alone. This duck befriended me and stayed close to me the whole time I was there. I had gone to this place to record the sounds around me and although I could hear the sounds of the water I couldn’t help wondering what this duck might hear – assuming ducks can hear. Anxious to find out, I lowered a microphone to the same level as the duck and began to record. These are the sounds heard by the thousands, or maybe hundreds of thousands, of people who visit this place each year. Presently, the duck leapt off the ledge onto the water below and began foraging with its head under the water. I followed by lowering a microphone under the water and I began to hear sounds that only the ducks and none of the visitors hear. Both the duck and I were close to where the water was falling over the ledge so the sounds under the water were an underwater version of the sounds above – the gurgling of the falling water as it hits and then descends below the waterline. 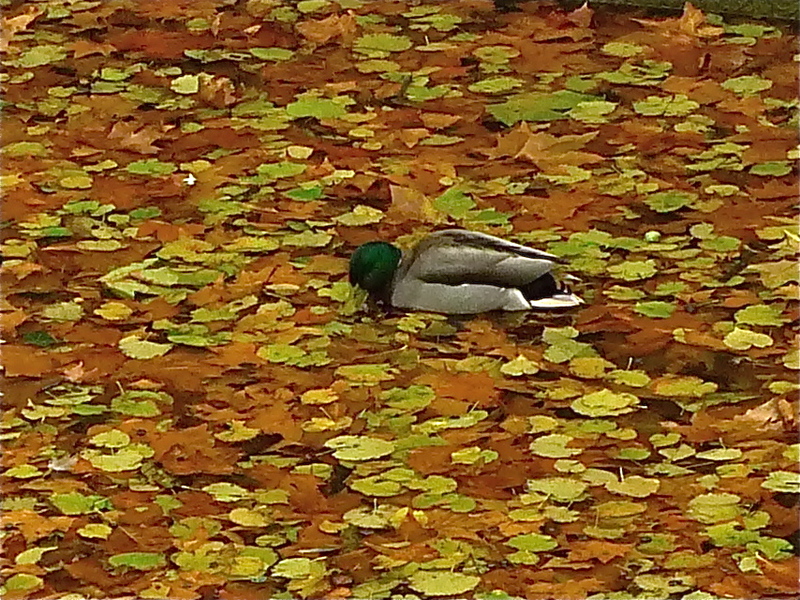 The duck decided to move off to a more interesting feeding ground, a clump of fallen leaves nestling on the water. I let my microphone float down to join the duck and it came to rest under the leaves where I discovered a completely different collection of captivating sounds. 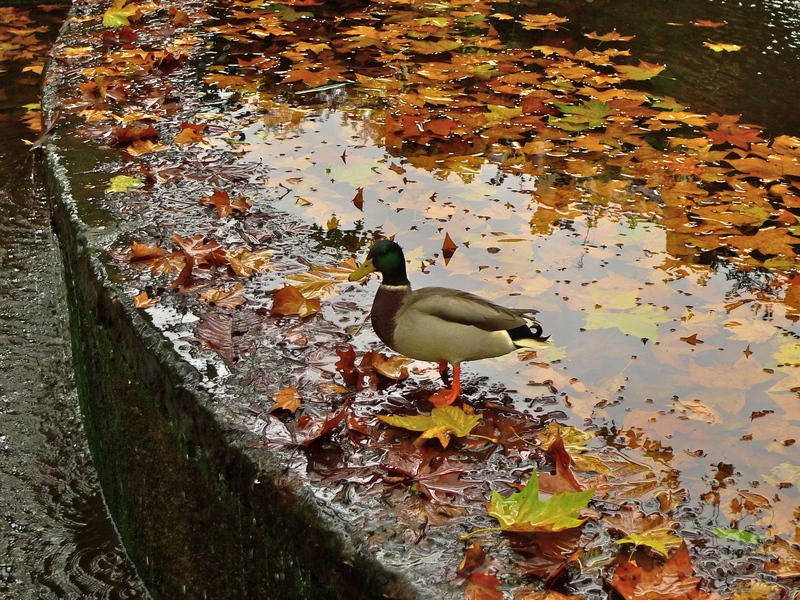 I’ve put together a selection of the sounds I recorded, the sounds from above the base of the fountain, the sounds from below and the sounds from under the bed of leaves so that you can share the sonic tapestry the ducks hear. In Homer’s Odyssey we are told that the man-eating one-eyed giant, Polyphemus, was blinded when Odysseus hardened a wooden stake in a fire and drove it into his eye. 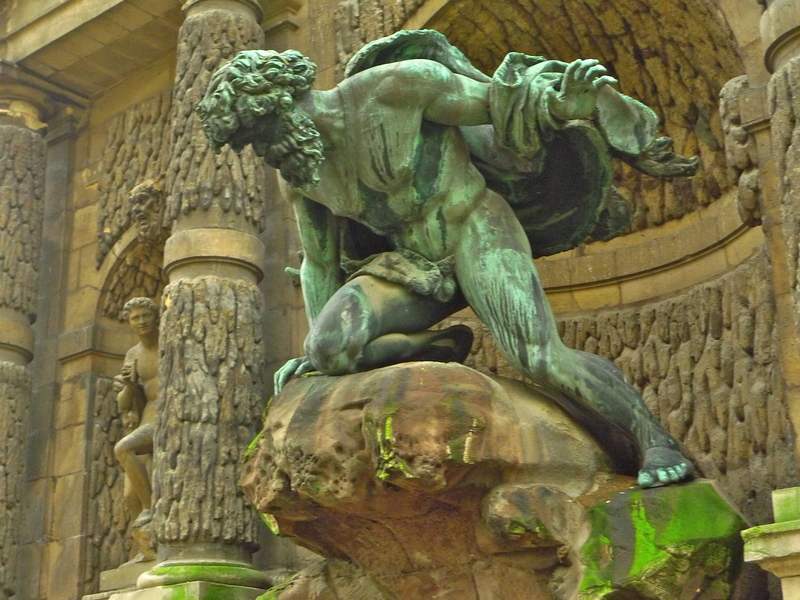 If that is so, then from his position on la Fontaine Médicis today Polyphemus will surely be more than compensated by the wonderful sounds around him both above and below the water. 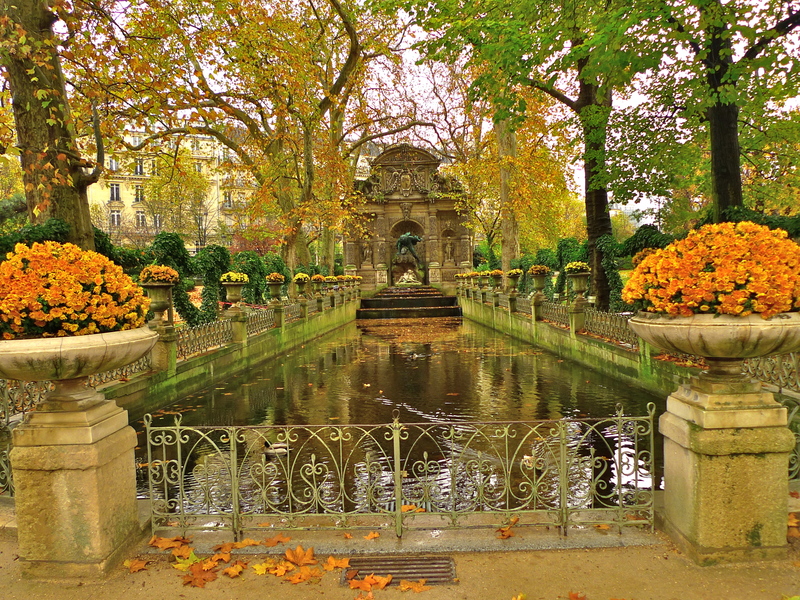 If you would like to know more about the Jardin du Luxembourg you can listen to a brilliant exposition in Paris – Personal View narrated by Dr. Monique Y. Wells. I recommend it.